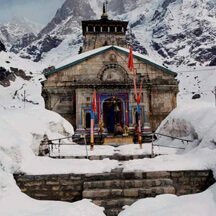 Kedarnath Dham, located in the Rudraprayag district of Uttarakhand, is one of the most paramount locations for worshipers of Shiva. The air appears to be reverberating with the name of Lord Shiva amid the mighty snow-clad peaks, enchanting meadows and forests of the lower mountain range of Himalayas. Situated in a breathtaking location, near the source of Mandakini River and at the height of 3,584 meters, Kedarnath Dham celebrates the greatness of Lord Shiva. 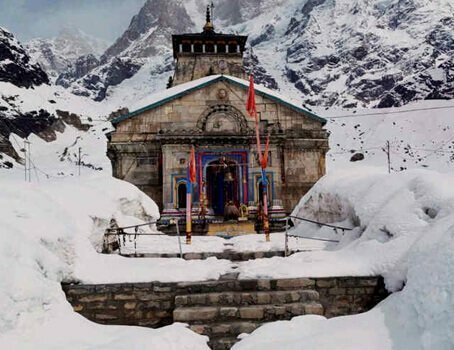 Kedarnath temple is one of the 12 Jyotir Lingams and is also the most important temple among the Panch Kedars (group of 5 Shiva temples in Garhwal Himalayas). 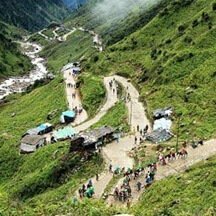 It is also one of the significant temples of the sacred Chota Char Dham Yatra in Uttarakhand, raising the glory of the place to further heights. 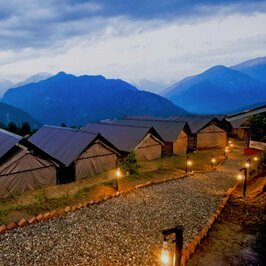 Accessible from major destinations of Uttarakhand, the motorable road towards Kedarnath temple stretches till Gauri Kund. 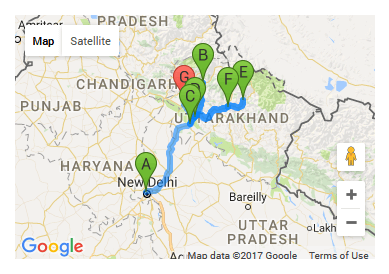 After that one needs to take a 14 km trek towards Kedarnath temple. Ponies and palanquins (doli) are easily available; one can also avail helicopter services during peak season of yatra. 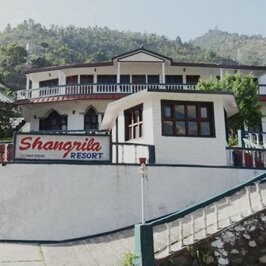 The hard journey till the great shrine of Shiva is well compensated with the spiritual atmosphere which is created by the unruffled, tranquil and splendid beauty of the region. The majestic Kedarnath peak (6,940 meters) stands behind the temple along with other peaks, forming a perfect setting for the holy land of the supreme deity. The conical-shaped Shiva lingam in the Kedarnath temple is a unique feature of the temple among all Shiva shrines. Burdened with the guilt of killing their blood relatives, Pandavas sought Lord Shiva to absolve themselves of their sins. Shiva didn't want to release them from their wrongdoings so easily and disguised himself as a bull to roam in Garhwal Himalayas. On being discovered by Pandavas, Shiva dived into the ground. Bhim tried to catch him and could only get hold of the hump. Other body parts of Shiva (in the form of bull), came up at different places. Hump of the bull was found in Kedarnath, navel emerged at Madhya-Maheshwar, two forelegs appeared at Tunganath, face in Rudranath, and hair came up at Kalpeshwar. 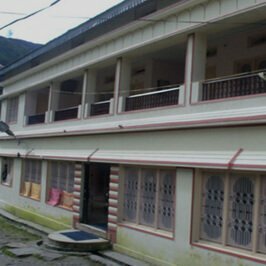 Together these five sacred places are called Panch Kedar. 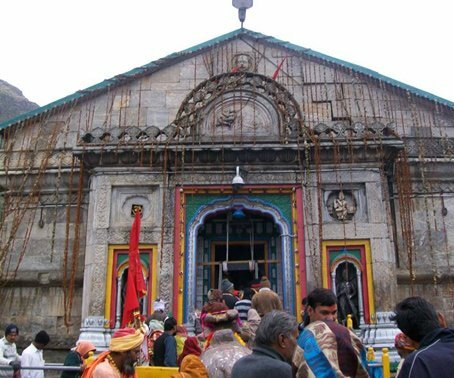 It is believed that originally Pandavas built the temple of Kedarnath; the present temple was established by Adi Shankaracharya who restored and revived the glory of the shrine. What to See in Kedarnath Dham? The grand and impressive structure of Lord Shiva's shrine is made of grey stone. 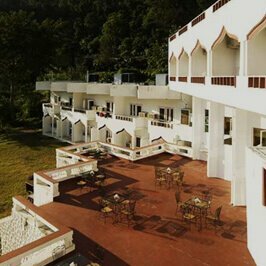 Steep climb stretching to 14 km from Gauri Kund brims with abundant beauty of nature. The paved and steep path gifts the pilgrims the fantastic views of snowy-peaks, alpine meadows and delightful forests of rhododendrons. A large stone statue of Nandi Bull stares at the shrine, guarding it, sitting right opposite it. There is one Garbha Griha which houses the primary idol (pyramid shaped rock) of Lord Shiva. The idols of Lord Krishna, Pandavas, Draupadi and Kunti find a space in the Mandapa section of the shrine. The temple has withstood natural calamities like avalanches, earthquakes and floods for over thousand years and still stands as strong and elegant as it must have originally been. With the onset of winters, the portals of the temple are closed on the 1st day of Karthik (Oct/Nov) amid elaborate rituals, and a moveable idol of Shiva is shifted to Omkareshwar temple in Ukhimath (Rudraprayag district). The Shiva idol is welcomed back and the temple is opened again after 6 months in the Vaisakh (Apr/May) period of Hindu calendar. It is the starting point of the trek towards the temple of Kedarnath. As per a legend, Goddess Parvati (also known as Gauri) meditated over here in order to marry Lord Shiva. 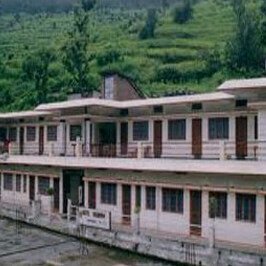 It consists of natural thermal springs and offer refreshing bath to pilgrims before they embark for the holy darshan of Kedareshwar (the Lord of Kedar, Shiva). 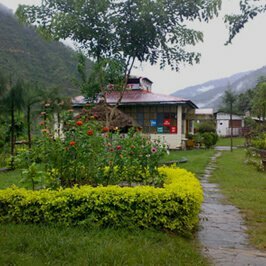 There is also an ancient Gauri Devi temple over here, honouring the goddess. Half Kilometre from Gauri Kund is the temple of Sirkata (headless) Ganesha. According to Skanda Purana, this was the place where Shiva beheaded Ganesha and then attached the head of an elephant on his headless body. 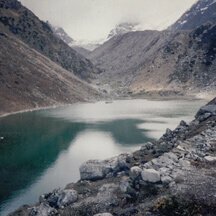 Fed by Chorabari glacier, the serene and pristine Chorabari Lake can be reached after undertaking a trek of less than 4 km from the Kedarnath town. It is also known as Gandhi Sarovar as some of the ashes of Mahatma Gandhi were immersed in its waters. On the way, there is a waterfall which one needs to cross. It looks amusing but care should be taken while going across it. In the temple complex, to the south side, there is another ancient and important temple. 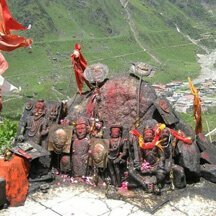 It is dedicated to Bhairav Nath, who is believed to be the one who guards the temple compound when the shrine is closed in the winter season. 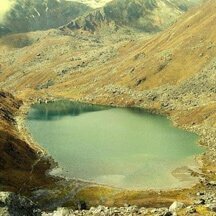 Located at 3,135 meters, the crystal clear blue-water lake of Vasuki is about 8 km from Kedarnath. It is quite a difficult trek and involves going across glaciers, but the walk among the untouched Himalayas is worth every bit of effort. 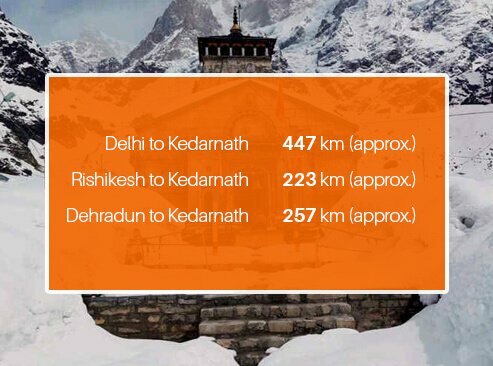 How to Reach Kedarnath Dham? 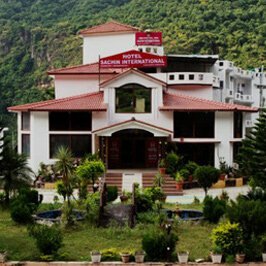 Jolly Grant airport on Rishikesh-Dehradun road is the nearest airport to Kedarnath. 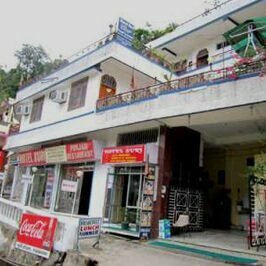 Hire a taxi to Gaurikund or till Haridwar/Rishikesh. Regular trains from Delhi to Haridwar and Dehradun are available at all times of the year. Hire a cab or get a bus from here. 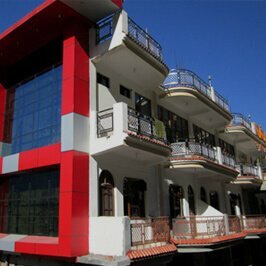 Gaurikund is connected with motorable roads, and buses and taxis from important destinations like Rishikesh, Dehradun, Uttarkashi and Tehri, Pauri and Chamoli are easily available. The best time to visit the Kedarnath temple is from April/May to June and September to October/November.